Nice view home in a great location. 4 bedrooms and 2 baths with upgrades throughout. Remodeled kitchen with granite countertops and breakfast bar looking out to the family room. Both baths are tastefully remodeled as well. Upgrades include a room addition in 2004 creating the 4th bedroom, ceiling fans in every room, recessed lighting throughout, laminate floors, newer windows and slider door, bay windows in two bedrooms, garden window in kitchen, pantry and mirrored wardrobe doors. HVAC replacedwithin the last 5-6 years. 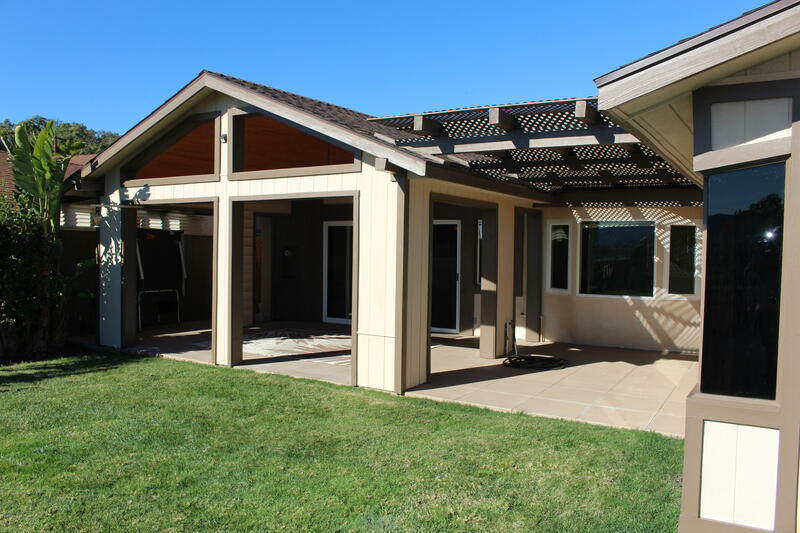 Great views from the private backyard featuring an updated patio cover for entertaining. Check out the sunsets!